Welcome to Joe Duffy Land Rover, part of the Joe Duffy Group, currently celebrating 40 years in business. The Joe Duffy Group is Ireland's fastest growing dealer group representing both premium and volume brands. 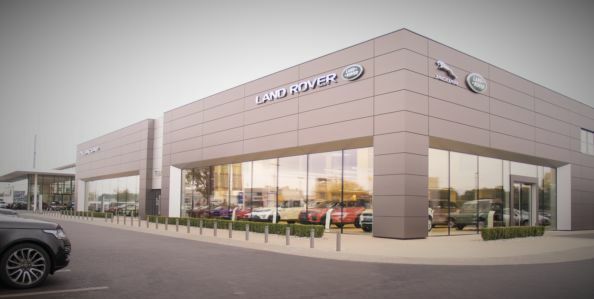 As one of Dublin's largest and longest serving Land Rover dealers we can offer an unrivalled choice of new and used Land Rover cars all prepared to the highest standards. We also offer very competitive finance packages tailor made to your requirements to help make your car more affordable. Our flagship recently built facility has not only the highest quality but also an incredible service resource. With Complimentary Wifi and refreshments, Joe Duffy Land Rover take the hassle out of getting your Land Rover serviced. Buying a Land Rover has never felt so good.